Last year I wrote about playing wind controller in a pit orchestra (part 1, part 2). 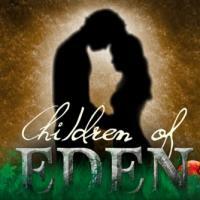 I’ve just finished playing in a production of Children of Eden. This was the 15th production of the musical group, and this year we had an extra-large, 21-piece orchestra: 1st violin, 2nd violin, 1st cello, 2nd cello, double bass, clarinet, bass clarinet, 1st flute, 2nd flute/soprano sax/alto sax, 3rd flute/alto sax/tenor sax/soprano recorder/alto recorder, 1st trumpet/flugelhorn, 2nd trumpet/flugelhorn, trombone, French horn, piano/keyboard, keyboard, electric guitar/acoustic guitar, bass guitar, drums, percussion, and myself on wind controller (Yamaha WX5) and tenor sax. Like Seussical, Children of Eden is quite a lot of music, 43 songs in all, of which we played 42; number 30, “The Return of the Animals” (orchestra only), was cut from our production. Number 26, “Generations” (the first song of the second act) was great fun as it had most of the orchestra playing some percussion instrument or other (I played shaker). Throughout the show, I had to change instruments/sounds 168 times! 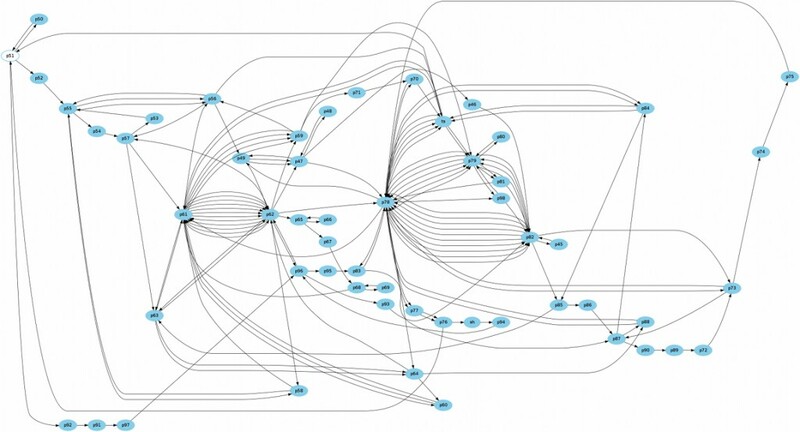 I played 51 different instruments (49 on wind controller, plus tenor sax and shaker; for ease of switching, some of the wind controller sounds were copied to several patches, which is why you see more than 51 nodes in the graph above). On average I had to change instruments 4½ (four-and-a-half) times per song. The highest number of instrument changes in a single song was 15. The highest number of different instruments in a single song was 9. And I shouldn’t forget to mention the “in your face bass” that I played alongside the bass guitar in “A Piece of Eight”; the musical director wanted to get a really fat bass sound. Programming all the different patches for these sounds taught me more about my synth module (Yamaha MU100R with PLG-VL and PLG-AN plugins) than I ever imagined possible. Since I had to play so many different sounds, scrolling through them by only using the +1/-1 keys of the WX5 was not sufficient; sometimes the patches were just too far apart for that. I had to resort to using the direct selection method, something which I dreaded. Direct selection works like this: the B key is 1, Bb petit key is 2, A key is 3, etc., all the way down to: F key is 9 and E key is 0; so e.g. pressing F then Bb would select patch 92. Initially I feared that it would be too difficult to get right, but I quickly got to know the numbers for each key. Still, selecting a patch with the direct selection method is more error prone then moving up or down one patch at a time; it’s easy to accidentally hit a wrong key in the heat of the moment. I only used the direct selection method when there were at least several bars of rest between two different sounds. When there was little time to switch (sometimes half a bar or even less), I tried to put the required sounds in consecutive patches so I only had to switch up or down at most a few times. All in all it was challenging but tremendous fun! This entry was posted in General Interest, Music Technology and tagged Alternate Midi Controller, EWI, midi, midi controller, Music Technology, wind controller, wind synth. Bookmark the permalink. Wow, I’m blown away by the complexity of the task, the programming that must have been required, and by the rapid learning of the alternate fingerings, direct patch selection, and other tasks that your music director requested. Certainly more chops than I have. And that’s before considering the musicality of your work on top of the technical virtuosity. I’m impressed. Bravo. When do you want to program my synths? Again, my congratulations on what seems like a nearly impossible mountain to climb. Hi Art, thanks for the very kind words! I estimate that for this show, I probably spent more time programming and tweaking sounds than actually studying the music (not counting the orchestra rehearsals). Although to be fair, at least for me, programming a sound is for a large part determined by the actual notes in my sheet music. To make something sound most effective depends a lot on what I have to play. E.g. fast runs or long lines, staccato or legato phrasing, crescendi/diminuendi, high notes or low notes: all these influence the parameter tweaks on the final sound. Also what goes on in the rest of the orchestra is an important factor to consider. So yes, quite a daunting task at times, but a most satisfying one when it all comes together.